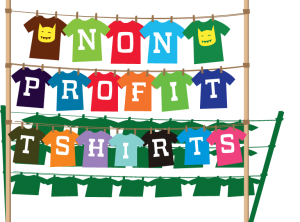 One of the biggest parts of our business is working with non-profit organizations on their custom t-shirt and hoodie orders. We print t-shirt orders both Tiny and Large and offer great competitive pricing and special discounts for our 501(c)3 customers. Additionally, we help our clients create logos and designs for their events, at budget-friendly pricing. We’ve worked with many local non-profits, including Churches, Women’s Shelters, Animal Rescues and Shelters, Fundraising Walks and 5Ks, Local Public Schools, Housing Organizations, Dog Parks and many others. Our non-profit customers appreciate our great low prices, expert product advice, and friendly–no pressure sales approach. Our non-profit customers deserve our top notch support, we also want to make sure we can meet your deadlines and get you the best pricing possible. 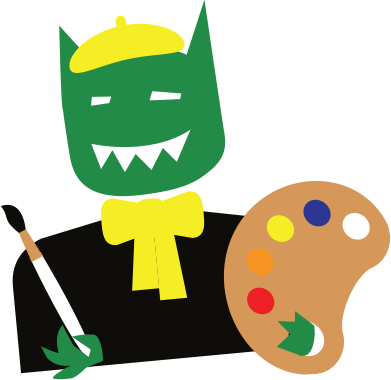 You may have noticed, we’ve removed our coupon code for now as some non-non-profit, highly crafty folks were taking advantage of the code. For our special non-profit pricing, email your order details to tiny@tinylittlemonster, we’ll need your 501(c)3 documentation and tax exemption letters to get your best pricing possible. Special bonus for you, our design team can craft a winning look for you outside of the design studio! Just contact us for a quote to learn more about working with our talented graphic designers. You’ll get 30 minutes of free design time with all qualified orders. Need more help choosing apparel? 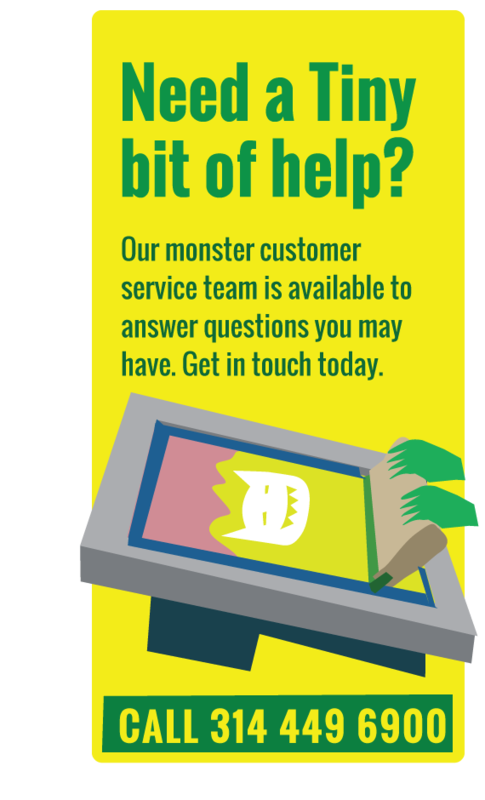 Tiny is a t-shirt expert, just contact us and we’ll help you find what you are looking for. We found that not every do-gooder is recognized as a non-profit organization, so we created the Tiny Gives Back program. Here’s an example of how this works. Let’s say there is this little guy named, Gill. Gill wants to help his local animal shelter by organizing a neighborhood coffee crawl, he raises money, gets sponsors and wants to have some t-shirts made for the event to give the participants We think this is awesome and naturally want to do something to help, and in fact we do. We will donate 10% of Gill’s order to the animal shelter. Example: Gill spent $500 for shirts, we send $50 to the animal shelter. Over the years we’ve donated hundreds of dollars and hope to build this part of the business more each year. It truly does feel great to give back to the community. CREATE AN ONLINE T-SHIRT FUNDRAISER. RAISE MORE FUNDS WITH TINY. 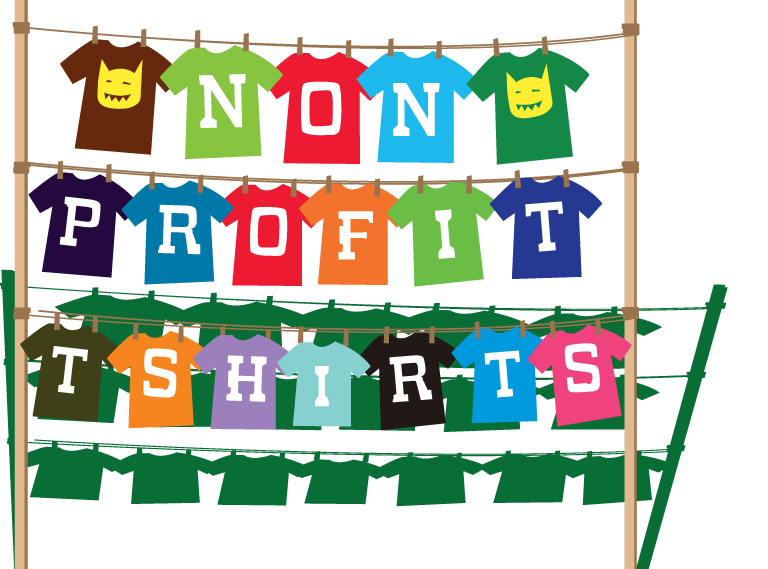 Selling shirts online has become a very popular method of fundraising for many groups. We have smaller minimums and offer larger returns than many of our competitors in this arena. We’ve used this method before for local organizations like tenth life and local scouting groups. Visit our Fundraiser Page for more info, or contact Tiny today, where the quotes are free, friendly, and fast!